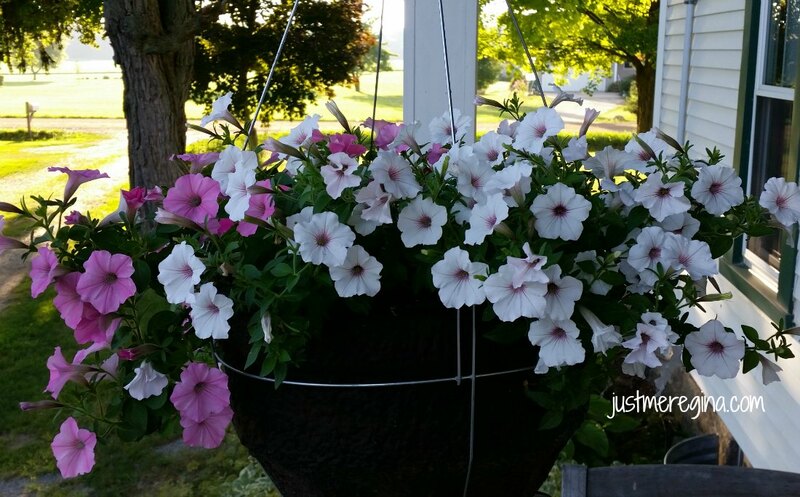 Every Summer I can’t wait to get a hanging basket and have it on my porch all Summer. 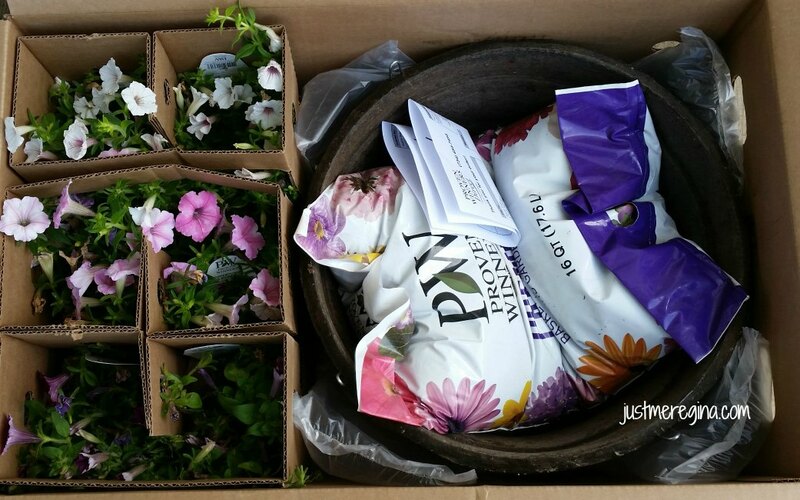 I was super excited when Proven Winners Direct sent me this basket to put together myself and arrange the basket myself to review for gardening ideas. 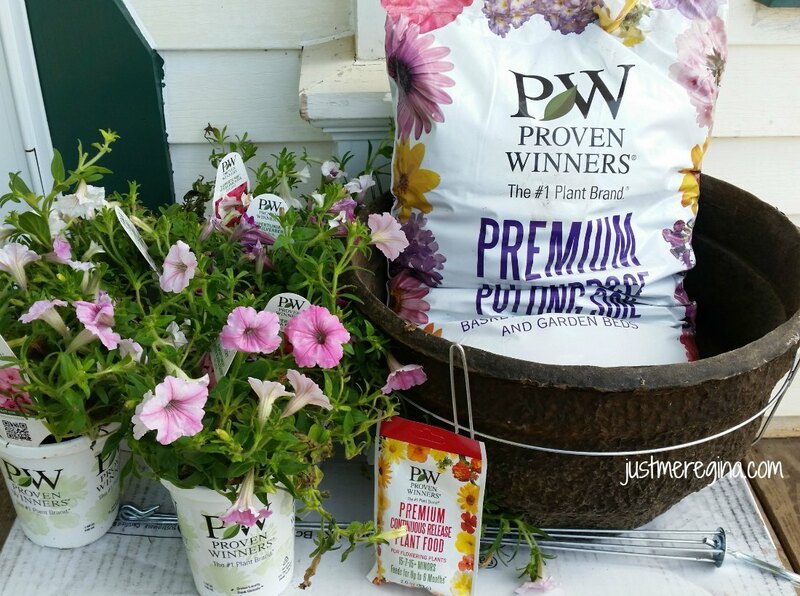 You can order your own and receive a discount when you use code JUSTMEPWDIY at Proven Winners Direct. This code is good 7/18-8/1. When you get your box, it comes with everything you need. You need to remember these are live plants and they need to be planted as they need watering. You get everything you need in this box and it is a huge box. 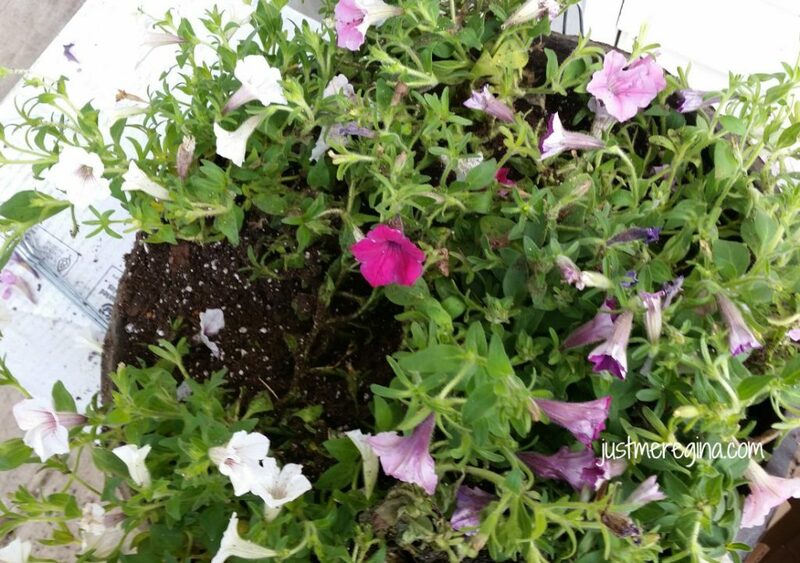 A big bag of dirt, fertilizer, flowers and the hanging basket. This is a very nice hanging basket and is a generous size, 15″. I put the dirt into the basket first and then mixed in the fertilizer. I then put them in the basket, sorting out the colors to distribute them. Be sure to read the tags of the flowers so you know how each flower will grow and bloom so you put it in the right location. I then hung the basket on my porch using the swivel hanger. I was watering my plant, but the flowers started to die and I got concerned I was doing something wrong. Don’t fear! Look below. The orange arrows show where new flowers are going to be blooming. 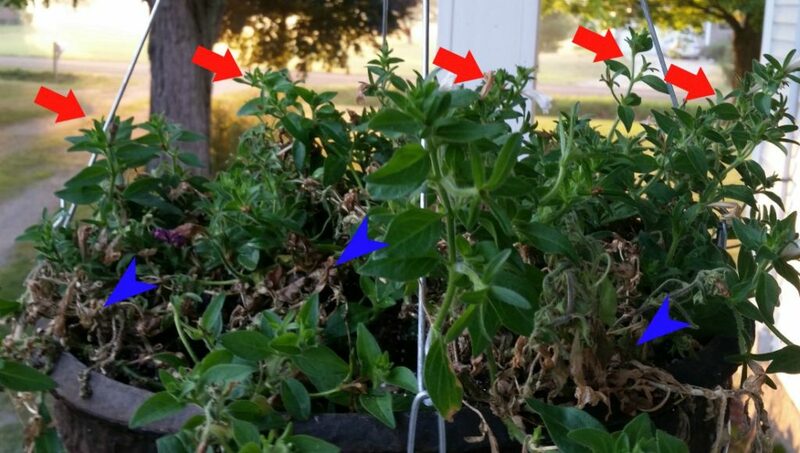 The blue arrows, is where the dead needs to be trimmed back about an inch and you can also pull off any dead blooms. Continue to water. Twice a day if it’s really hot in your area. I water twice a day 1/2 gallon each time. There is a hole at the bottom of the basket so excess water will run out. After a week of watering my flowers, look at them! There are many flowers blooming and they are thriving. You can get your own at #ProvenWinners Direct and be sure to use the discount code above to receive a discount on your purchase. Enter for your own chance to win using the form below. Comment below what you like about the Proven Winners Direct DIY Premium Hanging Basket Kit? 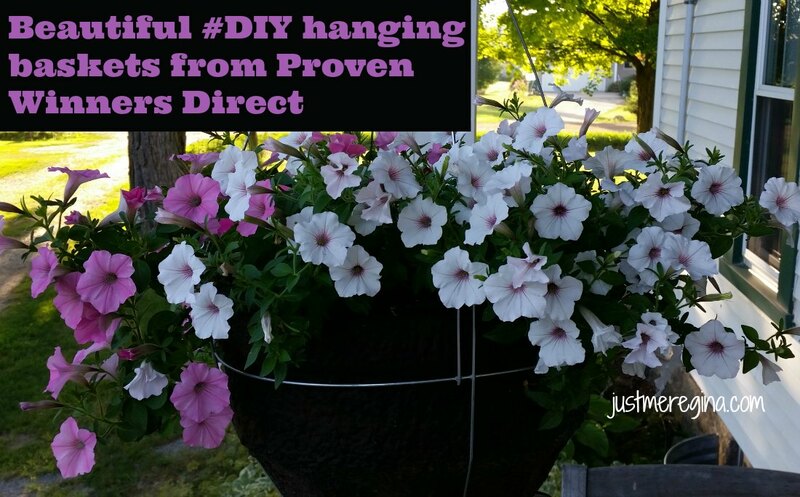 Or comment with which DIY Hanging Basket kit do you like the best? Use the form for entries. I like the Proven Winners DIY Premium Hanging Basket Kit ‘Above & Beyond’ Combination with 15″ Container. I love this basket and getting it in a kit everything included is wonderful its all ready to be put together for the yard. Nice gift to for those who love flowers. Oh I really love that everything in included! These are so neat and seem so easy to put together! I like that the kits have everything you need to put together with directions. Shasta Daisy is the flower I love the are they always make me smile. I love that it’s a nice hanging basket. I would love to try growing some wild flowers in one. Such a cool concept! 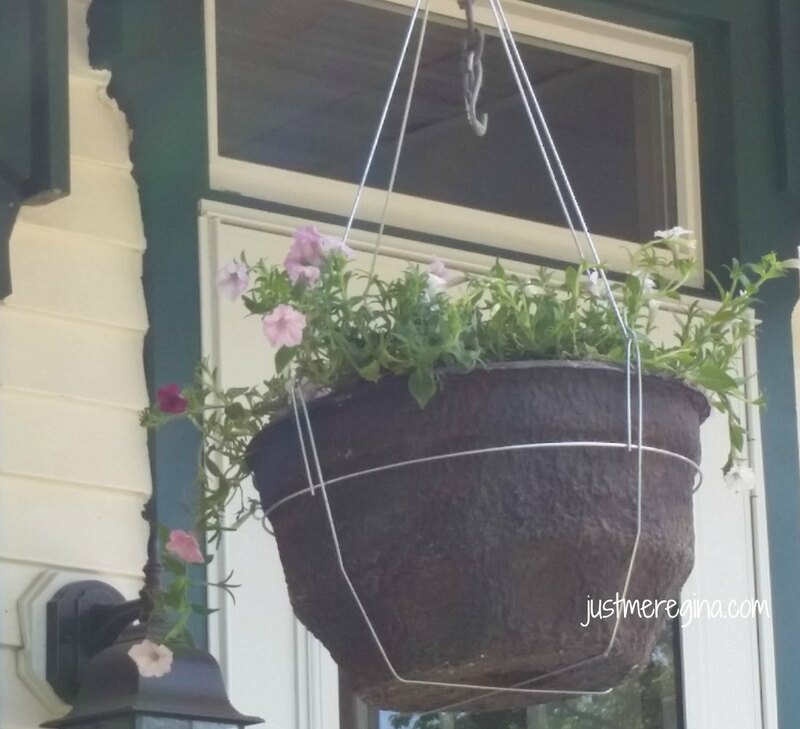 I really like the “Above and Beyond” DIY hanging basket. The flowers are so pretty, it’d look great in my yard. I love how easy this kit seems. It would be a fun things to do with the kids. I like how easy they make growing pretty flowers. I love flowers but don’t exactly have a greenthumb.